I love architecture. It’s as simple as that. To me, city architecture reflects the mood, the personality, and the feeling of each city. Every city has a recognizable signature no matter how many architects contributed to building it. For many years my art has been focused on my feelings about the architecture of St. Petersburg, Russia. These works are nostalgic in their content, as I am romanticizing the city that I was born in and miss so much. I use vintage linens with personal history, lace and crochet, and lots of intense hand stitching. Lately I have begun exploring the architecture of NYC, my adopted city. The materials for these artworks have demanded to be different. I am repurposing plastic shopping bags and packing materials. The stitching, although still intense, is now machine embroidery and when hand stitched, the stitches are bolder and straighter. I love composing work based on large city architecture, there is so much that inspires me. 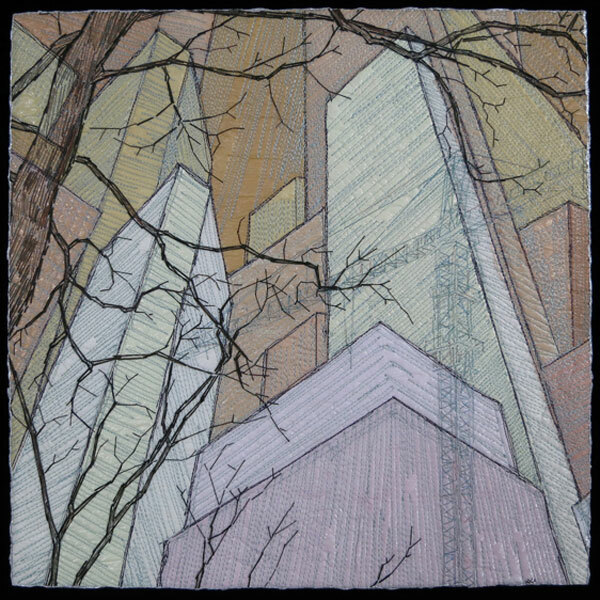 But frequently, especially as I hand stitch, I have been thinking of intimate buildings, smaller scale, and personal touches, in other words – home. A person’s home reflects and supports that person’s personality, much in the same way that a city has it’s own personality. I yearned to create highly individual works that would have special meaning to the owner of a home. So I experimented on a few of my friends. The challenge to my friends was to collect a few things from their home that I could use in a home portrait. I left the decision of what to send me up to them with a few basic guidelines such as no large 3D objects, a selection of things I could stitch through, and a representation of what they have in their home. They could include things that were used and/or discarded, everyday or small meaningful mementos, but nothing too precious. They also provided me with photos of their homes and in one case I lived close enough to take photos myself. I was amazed at how different the ephemera were from each friend and how it accurately reflected their styles. The friend that sent me her old mittens, could never have been the friend who gave me bits of her daughters lycra costumes, or the friend who gave me maps of local nature reserves. The ephemera provided the base of the home portrait and ensured that it would be uniquely theirs. Now my job was to bring the collection of ephemera and the photo imagery into a cohesive whole. 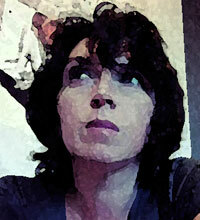 It needed to reflect the home, the owners personality and at the same time show the hand of the artist, me. I enjoyed the challenge of playing with the material: choosing which ones to use; arranging them in a myriad of different ways; layering them; figuring out which photos to use for the home image; how many images to use; how to collage the images in Photoshop; how to then stitch the image by machine; and the final step of how to hand stitch all the details that bring the whole together and make it the home’s portrait. This new series has been gratifying to create. Each home portrait is completely different from the previous one. Each one has it’s own set of challenges which makes it new and exciting to me. I see no end to this series and am already enjoying the next challenge of the latest home portrait. To see the evolution of all the home portraits please visit my blog, or to acquire a portrait of your own home please click here. Natalya’s art is architecturally inspired and delicately stitched. The core of it is deeply rooted in her Russian heritage and the architectural imagery of St. Petersburg and New York City. Natalya feels strongly about using recycled materials such as paper, plastics, and vintage fabrics. Computer photo manipulation, intense hand and machine stitching, and translucent effects are all her favorite techniques. Marrying the disparate influences on Natalya’s art – heritage and recycling – is her greatest challenge and her greatest pleasure. It is what drives Natalya into her studio everyday. 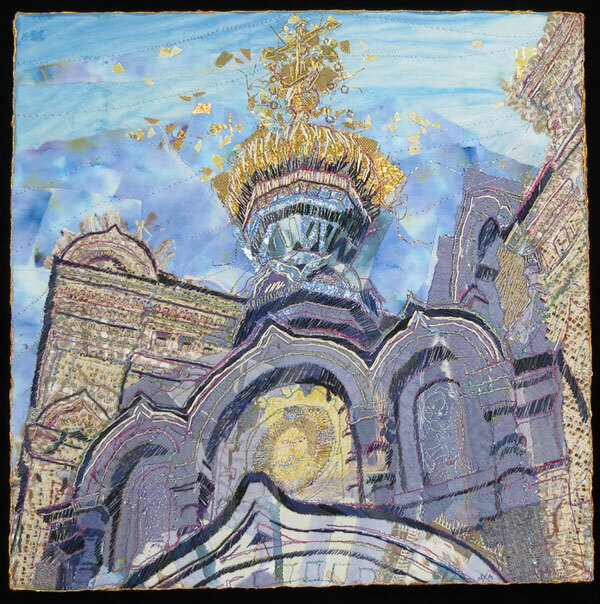 Her piece, The City, debuted at Quilt National 2013. See more of Natalya’s work on her blog and website. Quilting gives voice to the fullness of my thoughts. It allows me to tell a large story. Women have been telling stories with stitching for a long time. Many of the most inspirational are whole cloth quilts. Their subtle textures, intertwining elements and personal stories showcase the deliberate and focused work it takes to make one. From the Kantha cloths of Benghal, India to the hope chest quilts of new brides, these stitched textiles speak of their maker’s hopes and beliefs in a tactile and transfixing way. We still depend upon coal and oil, still blacken the sky with pollution, and we still prefer solving problems through violence. All these realities bring us closer and closer to collapse. Science documents the changing climate and depletion of resources. Species die every day and parts of the planet are now dead zones. Natural and national disasters create challenging narratives. Abuse and overuse of resources will limit choices for those who come after us. These fears and warning signs rumble in my head and heart, and make me want to shout—so I do. 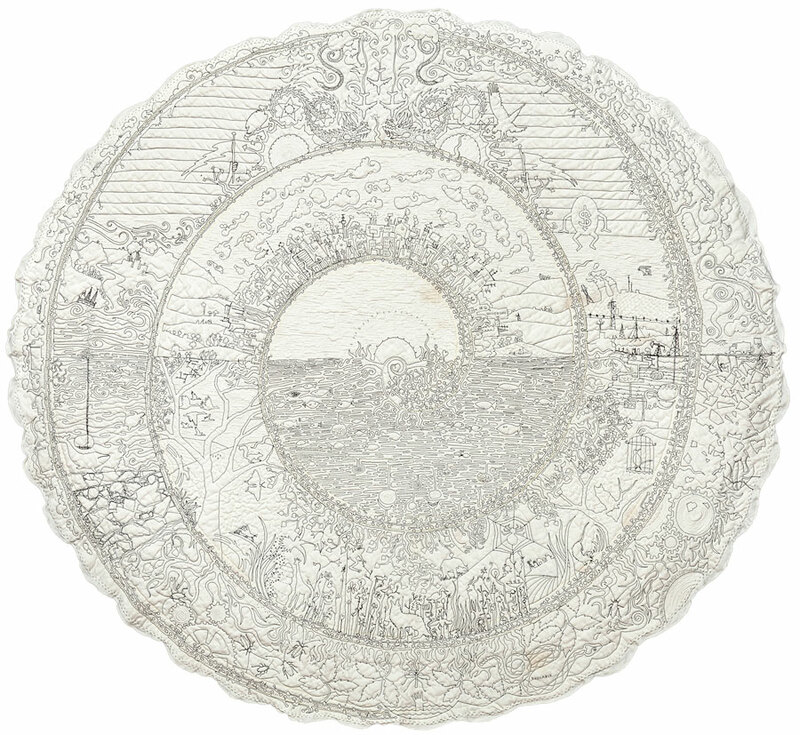 Round and Round It Goes began with a cotton tablecloth and a speck of DNA, which grew and spiraled outward and out of control to realms where the story emerged. The sea and all its mysteries, the sky and all its expanse, and the earth with all its creatures—these are the fabric of my vision. Then come the realities that tear this vision apart: terrorists and politicians ginning up death, weather and natural resources surging into destruction. Economic collapse, overpopulation, dying species, pervasive pollution—it’s all there. 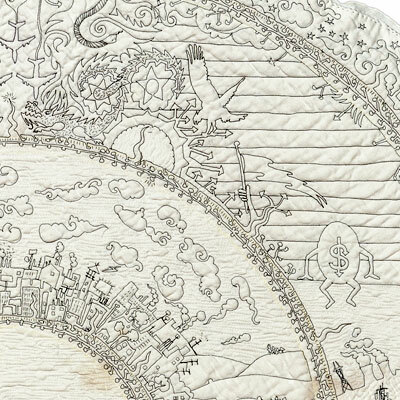 This form of quilting—where one piece of cloth holds the entire story—is an appropriate metaphor for the earth, its creatures, and its habits. Using thread and cloth, the stitch reveals an inner depth that is at once narrative and personal vision, transforming a simple fabric into a multi-dimensional journey. I am shouting my thoughts: The earth is ours in all its fullness—to nourish or destroy. When Ponies Dream, 2013, collaged and quilted cloth sculpture, 28″ x 31″ x 37″, photo by Marty McGillivray. Quilt National artist, Susan Else, whose engaging 3D fiber sculptures have been exhibited in Quilt National twice (Bingo! in 2005 and Nothing to Fear in 2009) is currently featured on The Quilt Show, an on-line program with Alex Anderson and Ricky Tims. 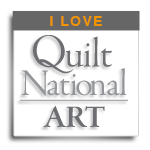 For a limited time, this episode will be available for free viewing to readers of Quilt National Artists news. Susan’s episode, Enter the 3rd Dimension with Quilted Sculpture, began airing on October 28, 2013. 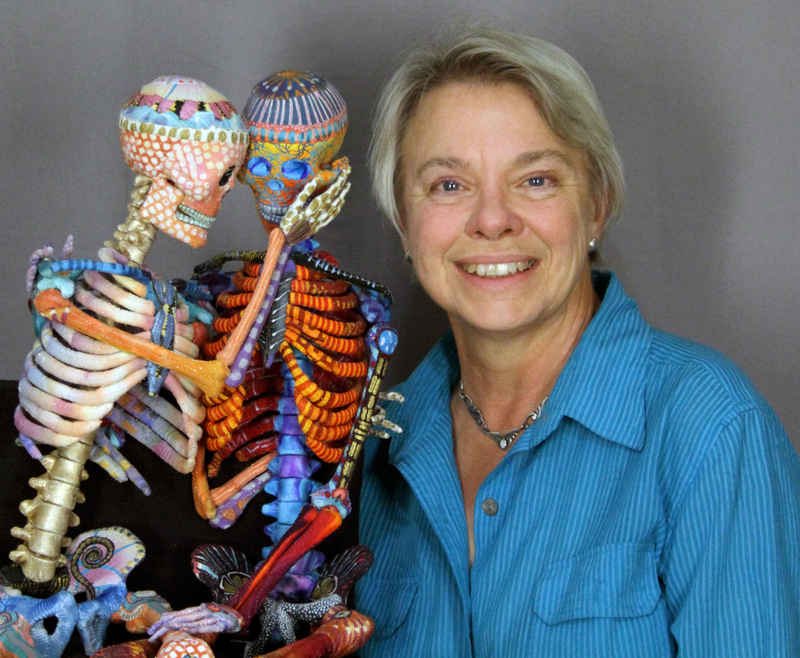 In this episode, you’ll meet “quilt sculptor” and teacher Susan Else, who made the leap from “flat quilts” to one-of-a-kind, three-dimensional quilted works and has never looked back. After showing a selection of her incredible quilted sculptures, Susan demonstrates how she uses felt, fabric-wrapped floral wire, and couching to create dimensional leaves, helps Alex construct a 3-D diorama, and shares some excellent tips for adapting your cutting tools to accommodate physical limitations. See below how you can view this episode for free. Susan Else treats cloth not as a flat surface but as a wild flexible skin for three-dimensional objects. Her work began in 1999 and has developed in tandem with the art quilt movement, but she is one of the few artists making sculpture from this medium. 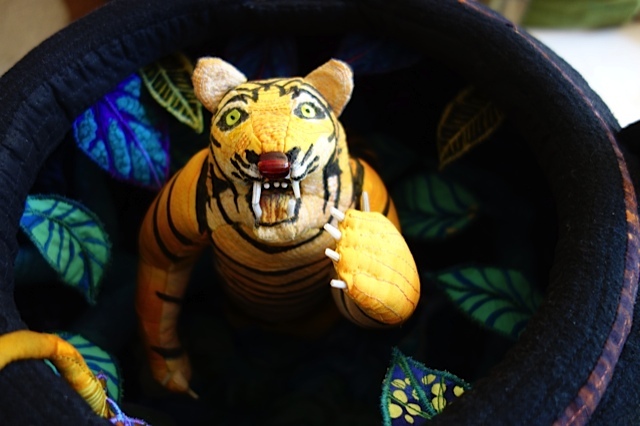 Detail of a Susan Else teapot with a mechanical tiger. Photo by Leslie Bixel. Recently Susan’s work has added yet another dimension: Motion. Her series of commissioned Teapots incorporate intricately sculpted dioramas that move when the lid is lifted. 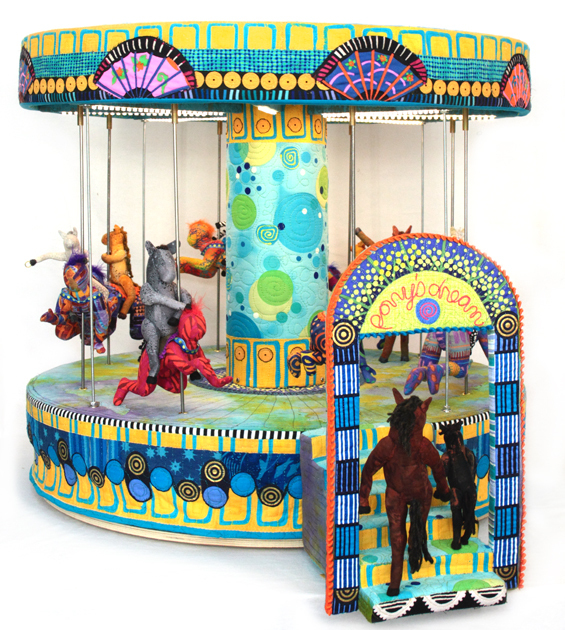 And her current solo show, “Tilt-a-World” includes a carousel sculpture where “the sign flashes, the lights are on, the calliope plays, and the human “horses” go round and round and up and down.” “Tilt-a-World” is now on view at the Peninsula Museum of Art in Burlingame, California October 20, 2013 through January 26, 2014. Susan Else sculpture will also be part of Radical Elements, Studio Art Quilt Associates, Cafritz Foundation Arts Center, Montgomery College, Silver Springs, Maryland. The show opens in April 2014, and will then travel. See the SAQA website for more information on Radical Elements and its venues. Susan Else, photo by Marty McGillivray, used by permission. Find out more about Susan Else and her artwork at her website, www.susanelse.com. Susan Else has kindly extended a special offer to readers of Quilt National Artists news. 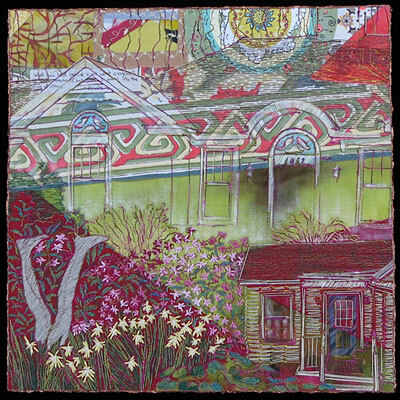 You can watch the Susan Else episode of The Quilt Show for free for one week only, from November 3 – November 10, 2013. Just follow this link to the free show! This offer will also provide you with an opportunity to become a member of The Quilt Show at a 20% discount. Be sure to use the coupon code: 238741767210 to get your 20% discount.